The big bad wolf in the raising of teenagers today is cyber bullying. If you believe Emily Bazelon, however, cyber bullying is not a new thing. It is, she claims, essentially nothing more than plain old bullying, moved to a new venue. What, then, is bullying? 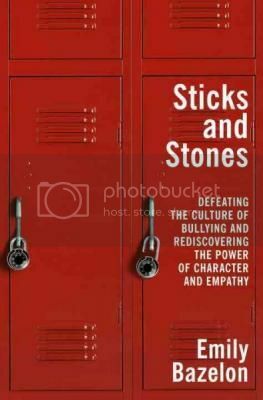 In Sticks and Stones, Bazelon unpacks the issue of bullying through three case studies, discussing interventions, suicide, and, of course, the role of the internet. Honestly, I’m not sure I would have ever picked this one up had I not been interviewing Bazelon about it for the SheKnows Book Lounge. I expected Sticks and Stones to either be self-help-y or to be a dry recitation of the facts of bullying. Happily, it is neither. Instead, Sticks and Stones is a book that realistically delves into a difficult and complex issue. The case studies bring real people and real faces to the problem of bullying, and on both sides of the issue. It helps her unpack the school cultures that contribute to bullying, as well as what, if anything, can help in such situations. Beyond being a well organized informative book, Sticks and Stones is also simply a compelling read. Bazelon has a great style, and knows exactly how much she can insert herself in the story without detracting from the facts she hopes to impart. Even without any current personal vested interested in precisely what goes on in high schools, I did not want to put Sticks and Stones down. Between Bazelon’s engaging prose and her ability to get to the heart of why exactly this issue is important, she had me hooked. For more, see my interview with Emily Bazelon in the SheKnows Book Lounge. 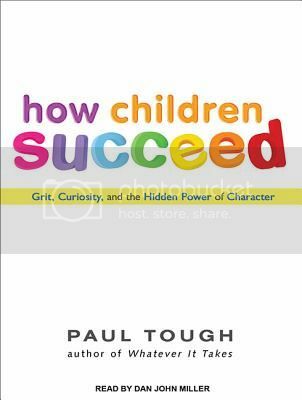 A foremost New Yorker and New York Times journalist reverses three decades of thinking about what creates successful children, solving the mysteries of why some succeed and others fail – and of how to move individual children toward their full potential for success. Much of what Tough talks about in How Children Succeed – such as the need for strong attachments – is not new. However, combined with some of the newer and less-known research about non-cognitive skills, often referred to as character traits, such as curiosity and grit, these old Psych 101 ideas take on new life. Tough’s reporting is straightforward, informative, and interesting. Perhaps his greatest skill is his ability to explain his ideas across audiences. The average parent could absolutely pick up How Children Succeed and understand any and all of Tough’s theses and explanations, but he is not too simplistic for our household, with our education and education-reform backgrounds. That being said, much of the content in How Children Succeed that will appeal most to those interested in education reform. There is information for parents, but this is decidedly not a parenting book. Tough focuses primarily at students at the outsides of the socioeconomic divide: poor minority students and the children of the 1%. Still, there are things in here that parents can easily extrapolate for their own children. As far as the issue of school reform goes, How Children Succeed reports ideas from some of the leading lights in today’s movement and comes up with some very interesting ideas, many of which do seem to have the potential to effect great change. If only the parents and caregivers of my old students on the South Side of Chicago had been given attachment therapy! Our school days might have been much different and more productive. As a side note: having been a Teach for America teacher in Chicago I was familiar with many of the reformers Tough refers to, which may have increased for me the legitimacy of his arguments, I am clearly predisposed to agreeing with many of these people. Dan John Miller does a great job keeping How Children Succeed interesting. Of course, Tough writes engagingly enough that the text itself is interesting, but Miller adds audible interest as well. When narrating conversations between Tough and some of the subjects of his investigations or direct quotes from some of the same people, Miller gives these people unique voices. The voices are fairly subtle, so it doesn’t matter that Miller isn’t exactly a credible high school girl. In addition, Miller seems just as passionate about the subject matter of How Children Succeed as Tough is himself, which gives Tough’s findings an increased feeling of importance to listeners. A fascinating look at the non-cognitive markers of success. Interesting for parents, but especially relevant for the school reform-minded out there. If you’re going to want to take notes, by all means you probably want to approach this in print, but if you want a general introduction to Tough’s arguments, Dan John Miller’s narration is a great choice. Sound Bytes is a meme that occurs every Friday! 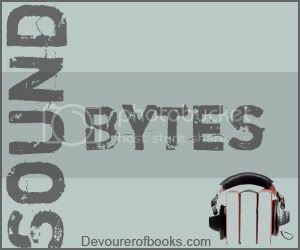 I encourage you to review your audiobooks on Fridays and include the link here. If you have reviewed an audiobook earlier in the week, please feel free to link that review as well. Thanks to Pam for creating the button. When Laura Brodie’s daughter Julia ran away one day, it was the last straw with her and public school. Julia didn’t run away without reason, you see, she ran away to avoid her homework. Her 4th grade homework. Her 10 minutes worth of 4th grade homework. And she hid for an hour before Laura found her. Laura had always known that Julia wasn’t thriving in a conventional classroom, but that was the point at which Laura knew she had to do something different. Eventually, she decided that the something she needed to do was homeschooling. Brodie was a somewhat reluctant homeschooler. She planned to do it for only a year, to give Julia a break from school. She also wasn’t planning to homeschool her two younger daughters, one of whom was thriving in the classroom, the other of which needed the experience of being away from her mother. “Love in a Time of Homeschooling” details Laura and Julia’s year together, beginning with Laura’s decision to homeschool her for a year. It was a learning curve for both of them, and not always as successful as Laura might have hoped. My favorite thing about “Love in a Time of Homeschooling” is that Brodie was totally and completely honest about her experience. There was no sugar coating, either of Julia’s temperament or of the homeschooling experience. Frankly, Julia seems like an exceptionally difficult child. This is not to say that Laura vilifies her daughter, but she does not idealize her either. Not only is Julia incredibly stubborn, but she also lives in her own little world and doesn’t have much desire to spend time with human beings. Although she appreciated not being in the classroom, taking only a year off of public school meant that Laura and Julia had to roughly follow the state learning guidelines, so that Julia would be able to return the following year without being any farther behind. Since homeschooling is something I’ve vaguely thought about for awhile – particularly with the state of education these days with budget cuts everywhere – I found this book really fascinating. Brodie didn’t only describe what she did, but also a variety of other homeschooling models, but without turning “Love in a Time of Homeschooling” into a dry textbook of homeschooling. I also appreciated the great list of resources she put in the back of the book, definitely helpful as a starting point if I ever do decide to go the homeschooling route. This review was done with a book received from the publisher at the author’s request. You know those books about funny malapropisms that kids make? The ones that almost make you cringe because they show such a lack of either thought or education? Life in the trenches was very dangerous due to constant attacks by submarines. Fascism is where your social life is totally on Facebook. Give this book to your favorite graduate – if only to make sure that they don’t think any of this makes sense! This review was done with a book received unsolicited from the publisher.